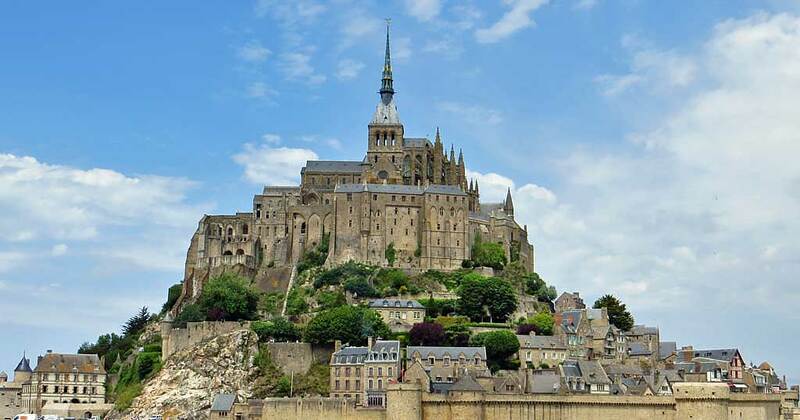 There are two entry gates when you visit Mont St-Michel. The gates are beside each other at the base of the island. There is no charge to enter either one. 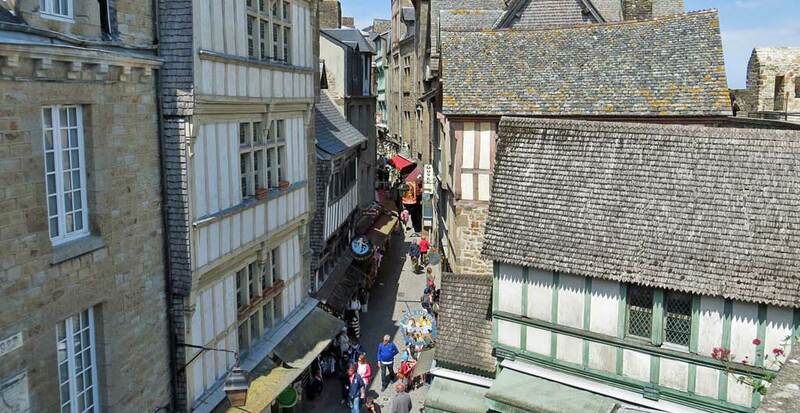 To the right, head through the Boulevard Gate and then the King’s Gate to the Grand Rue (Main Street) past 15th century houses, souvenir shops, restaurants and museums. The Archeoscope museum is dedicated to the island and its history. 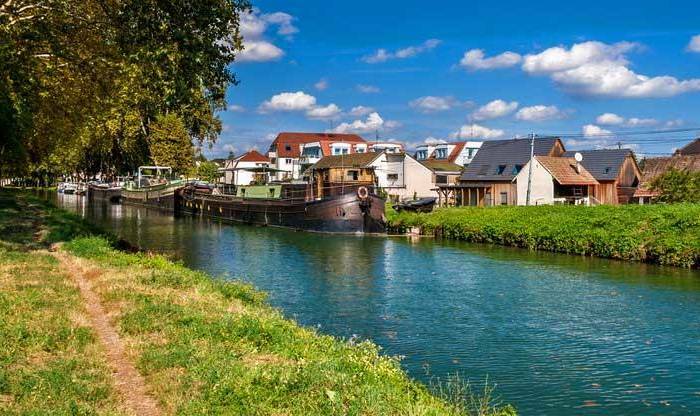 Also consider the Museum of History, the Maritime & Ecology Museum, the Parish Church of St Pierre and the 14th Century Tiphaine’s House. 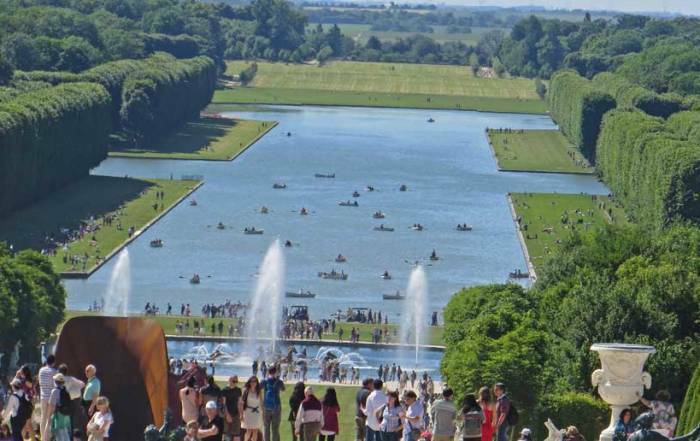 These attractions are on the Grand Rue, which is extremely cluttered with tourists. The Porte Eschaugette, the gate entrance on the left, heads straight up to the base of the Abbey. 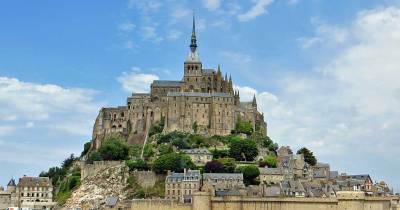 There is a fee to enter the Abbey of Mont St-Michel. The two paths connect with each other, so you can make a round trip on foot. Near the top of the island, climb the Grand Degré (Grande Staircase) to the Abbaye du Mont-St-Michel. 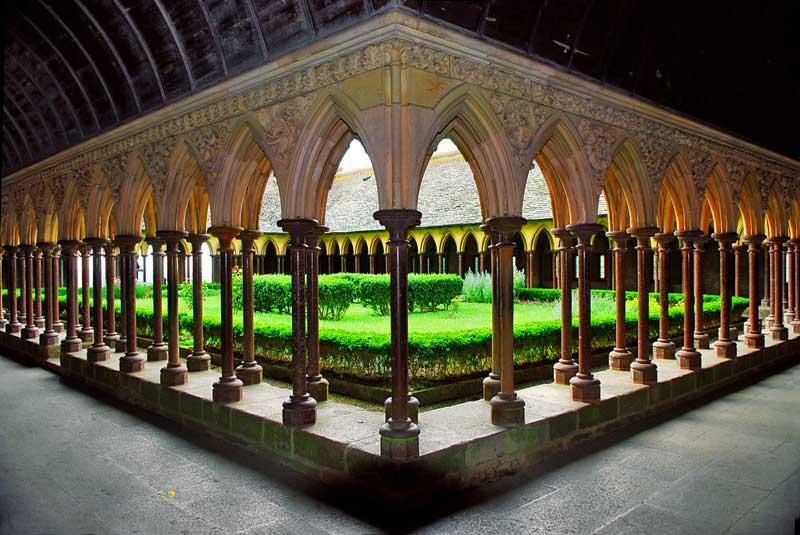 The Abbey has 3 levels. On the lower level, stop at the Crypt of Our Lady of the 30 Tapers. 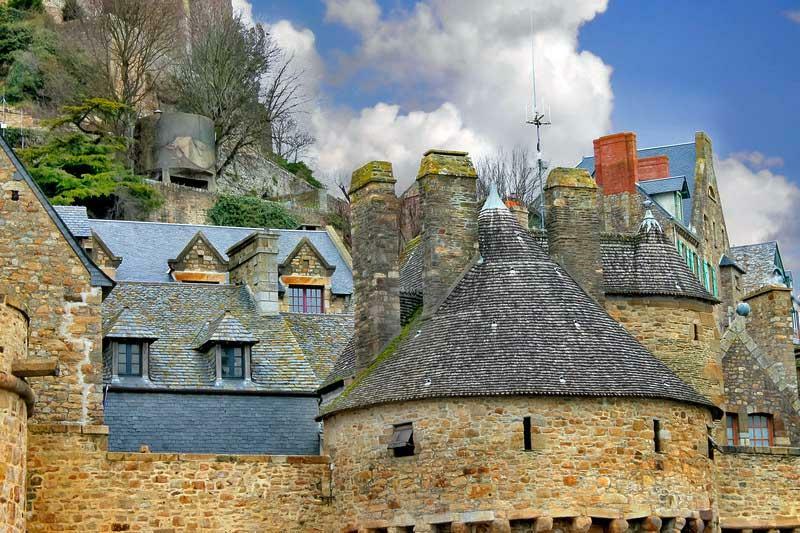 On the top floor, you will find La Merveille (the Marvel) with the bell tower, the spire and the cloister. Enjoy the views over the bay. 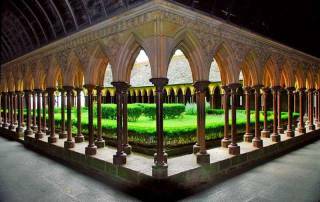 Time your visit to hear a concert in the Abbey. 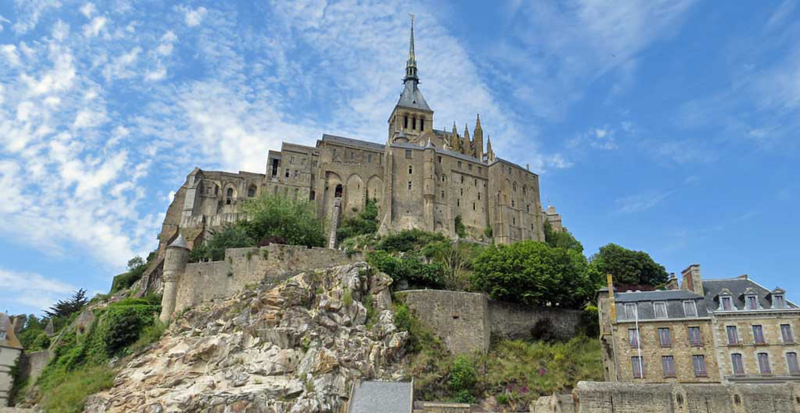 For more info on current events, try the Mont St-Michel Tourism of Office. Have an omelette at La Mere Poulard located immediately at the beginning of the Grand Rue. Try one of the creperies, also known to visitors as pancake bars, such as Crêperie La Cloche, Le Chapeau Rouge or Crêperie La Sirène. There are some nice restaurants facing out along the top of the east wall. Walk down to Tour (Tower) Gabriel, St Aubert’s Chapel and the Fountain of St Aubert at the water’s edge. Hike through the mud flats, but for safety consider a guide who knows the route and the tides. The tides can change by up to 50 feet. In 2005 efforts began to restore the island to its maritime character by reversing the silting process that was joining the island to the mainland. 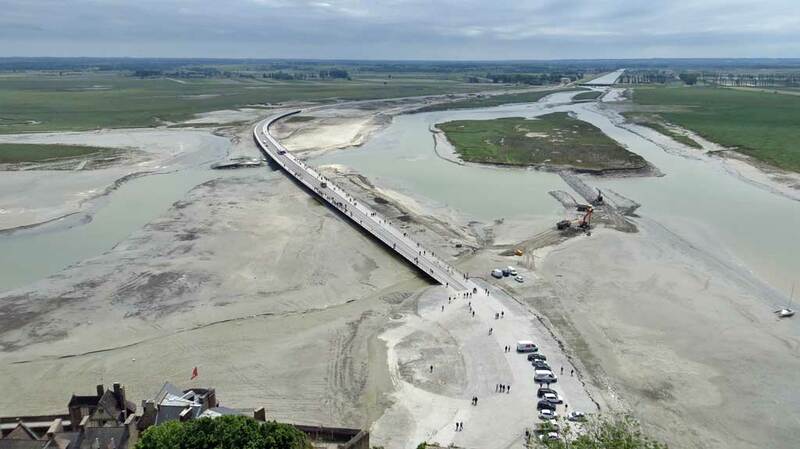 In 2009 a revised dam at Caserne and a series of canals were built to control the water levels of the extreme 45 foot (15 m) tides in the area. Access by car was eliminated in 2012 with the removal of the parking lot at the base of the island. Parking is now 2.5 km away and a free shuttle takes visitors to the causeway. The causeway includes a pedestrian footbridge. Ever since 2014, visitors must walk the final approach to the island. 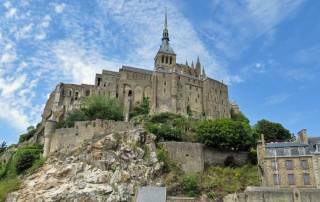 You can get toMont-St-Michel on the TGV high speed train from Paris. 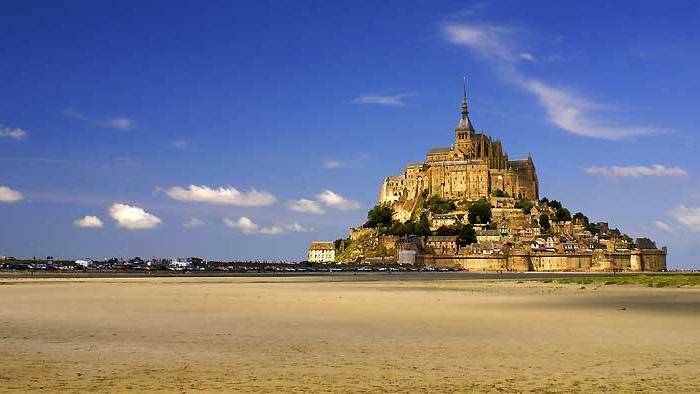 The TGV takes about 3.5 hours one way to get to Mont St-Michel. 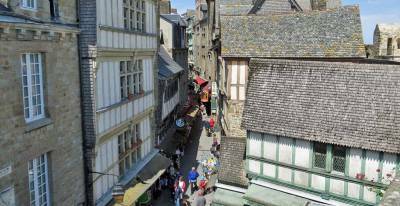 The high speed train stops in Rennes and then St Malo. 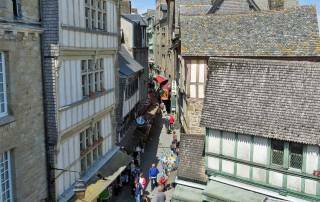 You can then either take the 75 minute Les Courier Bretons bus from Rennes to Mont-St-Michel or take the regional train to Pontorson. 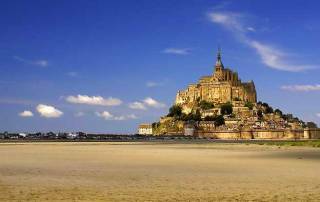 The Pontorson train station is about 10 minutes away from Mont St-Michel. Buses are inexpensive and frequent. 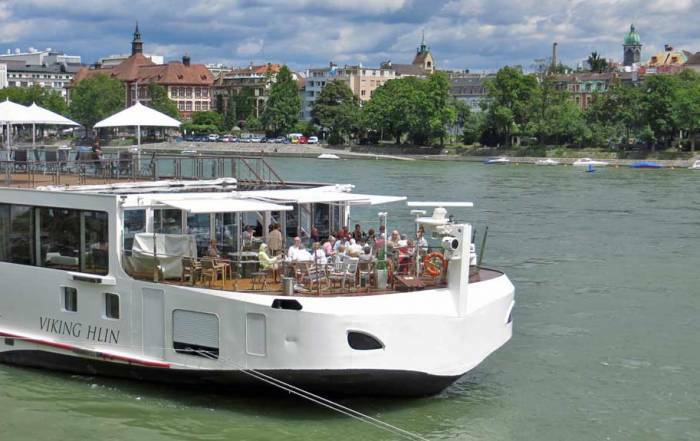 There are several same day coach tours from Paris. 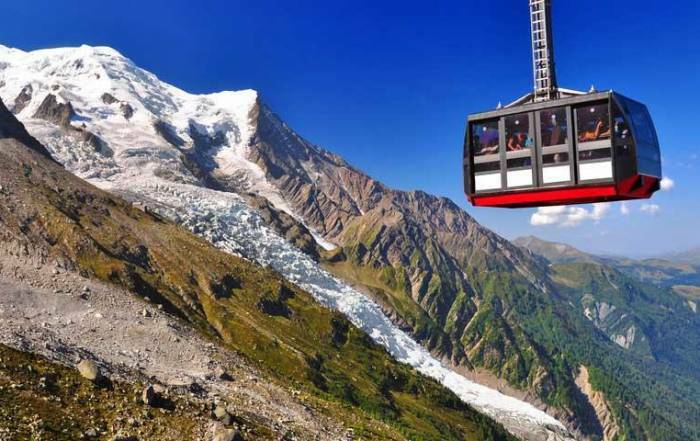 Try LinkParis.com for a TGV option that costs more, but reduces the travel time and sees more sights. 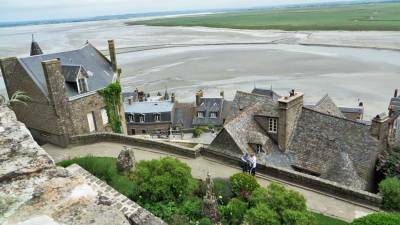 You can get to Mont St-Michel in just over 2 hours on a shore excursion from the cruise ship port at Le Havre. 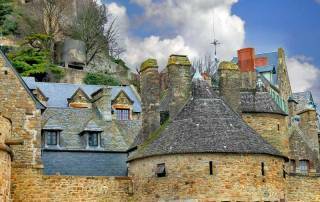 The climate in Mont-Saint-Michel is influenced and moderated by the English Channel. Expect cool summers. In winter, the temperatures stay above freezing. Average highs in the summer are around 60 F (16 C), while average lows are only a couple of degrees cooler. In the winter months average highs are around 40 F (5 C) and lows are again only a couple of degrees cooler. Rainfall is light throughout the year. The average hours of sunshine is greatest in the summer months, helping to make this the most popular time for tourism. 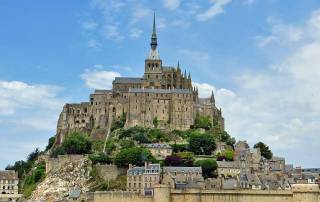 The French love hyphens around the word “Saint”, so the common spelling is Mont-Saint-Michel or Mont St-Michel. The Benedictine Abbey started in 708 dominates this very small tidal island about 1 km (a half mile) off the French coast of the English Channel on the border between Brittany and Normandy. It is encircled in fortified stone walls protecting the Abbey. In the 1800s the site became a prison and in 1979 it became a World Heritage Site, owned by the French government. 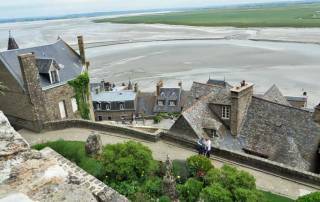 The permanent population of Mont-St-Michel is under 100 people, but this small island has more than 2.5 million visitors each year.